Buy online interactive multimedia based educational CD for CBSE School Student. Delivered in 2 - 4 Working Days. 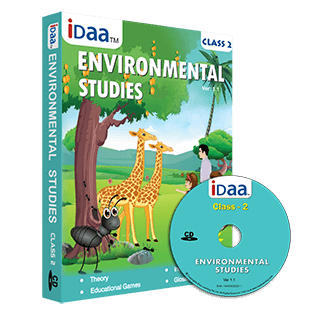 IDaa CDs are completely mapped to the NCERT curriculum following CBSEboard. Which can be conveniently adapted to any state curriculum in India. System Requirements : 1024 x 768 pixels, 32 bit colour, CD or DVD ROM, audio device and a pointing device. Copyright © 2016, iDaa Learning. Thank You. Our support team will call back to help you. Create : First Create your idaalearning account from left menu. Download: Add any eBooks to your cart. Proceed to checkout and payment.Sample eBooks can be downloaded in the same method without payment. Enjoy : Login to iDaa-eBook Android App with your credentials.Your downloaded sample or full version eBooks are displayed under your account.Click on Download option. " Your E-Book will begin to download (this will take some time due to the high resolution of the Videos & images)! Enjoy : Login to iDaa-PCReader with your credentials.Your downloaded sample or full version eBooks are displayed under your account.Click on Download option. " ⚫ Make sure that you have 2 GB space on your C drive..
⚫ Minimum 1mbps Internet speed required to download ebooks.